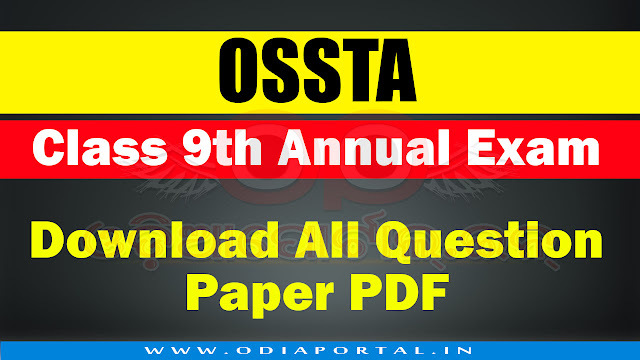 Following are official question paper PDFs of Odisha Government high school 9th class Annual Examination 2018 which is conduct by Odisha Secondary School Teachers' Association or OSSTA. We have collected all subjects Objective papers which you can download from below. Hope these will help you in future. (C) OSSTA, 2018.